All transactions are safe and secure with a reliable history in online purchasing behind each of our associates. Buy the Nightmare Before Christmas Sally Costume to own Nightmare Before Christmas clothing and merchandise. 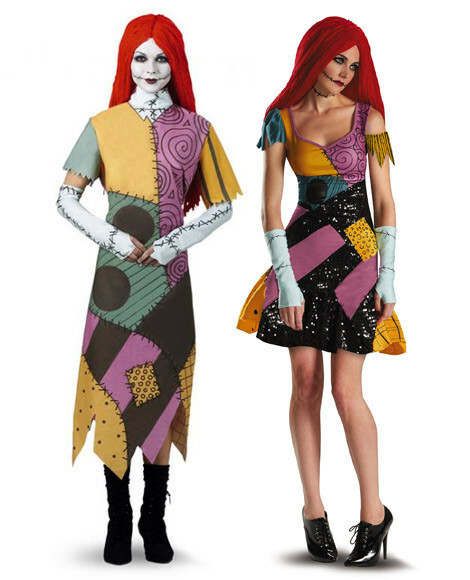 Win the heart of the Jack Skellington in your life in this Nightmare Before Christmas Sally costume that includes a patchwork print dress with a long red wig and glovelettes. Tell your friends that you are the beautiful product of Doctor Finklestein, the mad scientist who creates the skeleton-like reindeer for Jack. Just be careful if you decide to go creeping around the lair of Oogie Boogie. This officially licensed Nightmare Before Christmas Disney costume is also available in an Adult Plus size. In addition to the Nightmare Before Christmas Sally Costume above, browse the Nightmare Before Christmas Clothing Gallery for more apparel like men's and women's clothes, kids shirts or hoodies.